At Denne Country Stores we have an extensive range of rubber and leather riding boots, long or short, and chaps and gaiters. Most of the staff ride and have horses themselves so are able to give first hand experience on which boots are best suited for different people. Our range consists of basic boots ideal for those just starting out and for growing children, smart every day riding boots, hunting boots, yard boots (suitable for riding), riding wellies and show boots. Our main supplier in this area of the store is Ariat. There boots are developed to include highly advanced technology ensuring these boots are comfortable anddurable whilst also looking good too! 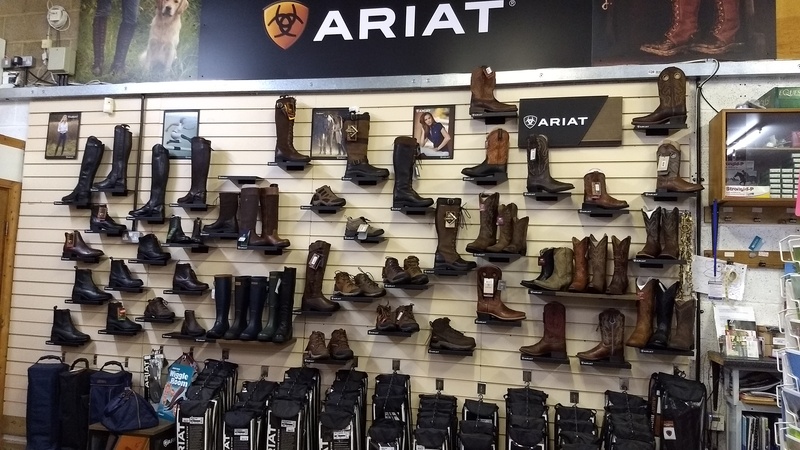 Ariat do a vast range of boots all of which are available on request even if they are not a stock item for us. We also stock boots from Toggi, Tuffa, MuckBoot, Mark Todd, Saddlecraft, Danger Zone, Chipmunk, Equitheme and have many more available on request including Treadstep. 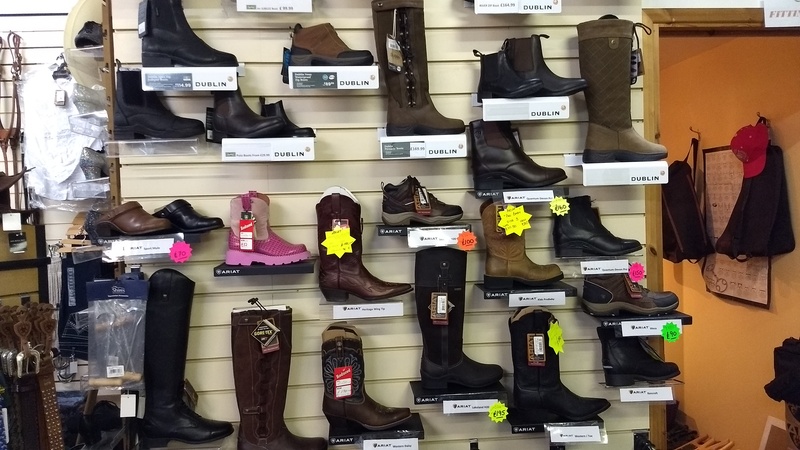 At Denne Country Stores we stock a wide range of boots suitable for wearing on the yard. Our range consists of rubber boots, short mucker boots and leather boots both short and tall. Ariat boots all have a Duratread sole which is ammonia and sand resistant making them perfect boot for wearing around the yard. They do many waterproof and some insulated versions of their boots.Other brands we stock are Toggi, SaddleCraft, Tuffa, Muckboot and Equitheme. Wellingtons are an essential piece of kit for anyone who spends a lot of time outdoors! 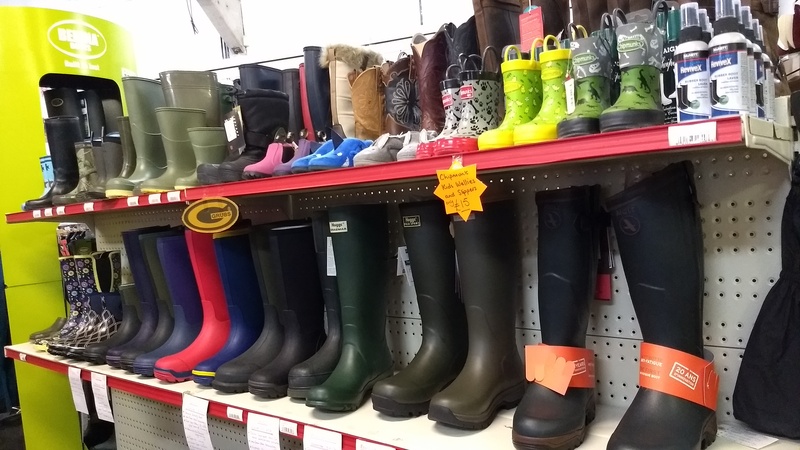 At Denne Country Stores we stock an extensive range of wellingtons suitable for festivals, dog walking, shooting, yard work, Riding,gardening or just simply keeping your feet warm and dry! We stock styles from brands such as Hunter, Joules, Aigle, Ariat, MuckBoot and Hoggs Of Fife. We stock a range of casual shoes from Ariat, Joules and Toggi for those times when you’d rather not be in boots! These include mules, deck shoes, espadrilles and shoes.